When the effects of time and weather leave your roof in disarray, turn to a professional roofing contractor to restore the beauty and durability of your home. With more than 19 years of experience, the talented roofers at J&N Roofing in Lakewood, CO, have you covered. Both residential and commercial clients can rely on these experts to tackle repair and installation projects. This locally owned and operated roofing contractor employs a talented team of professional roofers who stay up to date with the latest innovations in the field, such as TPO and EPDM roofing materials. They utilize cutting-edge inspection equipment to create a custom plan for your family. Clients dealing with outdated roofing systems will benefit from their re-roof and roof repair services. In addition to roof repairs, this proven roofing contractor is also well versed in roof installations for new construction and replacement jobs. Knowledgeable staff members will work with insurance agents to get the ball rolling for businesses and homeowners facing storm damage. 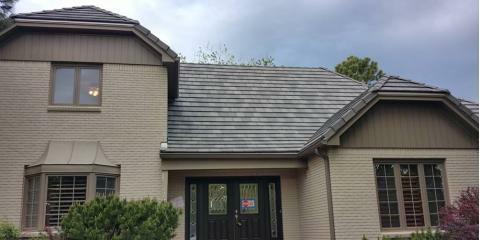 They take pride in installing cost-effective materials ranging from shingles and slate to laminate and tile. Quality craftsmanship is never overlooked by these skilled roofers, and they back their work with five-year certifications that cover leaks. If you have questions or concerns regarding your home or business, feel free to speak to friendly staff members. They won’t hesitate to send a technician over to write up an estimate for your property at no cost to you. Are you searching for a reliable roofing company? Whether you’re getting ready to sell your property or planning a new build, the roofing specialists at J&N Roofing are prepared to exceed your expectations. Reach out to them today at (303) 438-1007 to request your free quote or visit them online for more information.